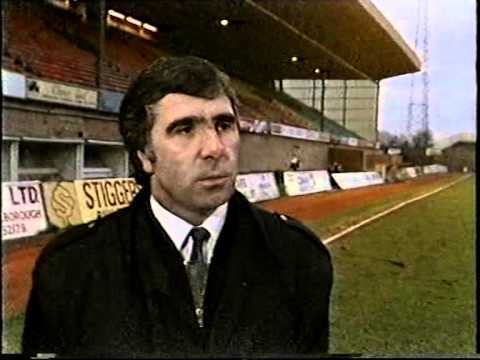 Needing just a point to clinch the Fourth Division Championship, 2000 expectant Town fans travelled to Field Mill in April 1986, to face fellow promotion contenders Mansfield. 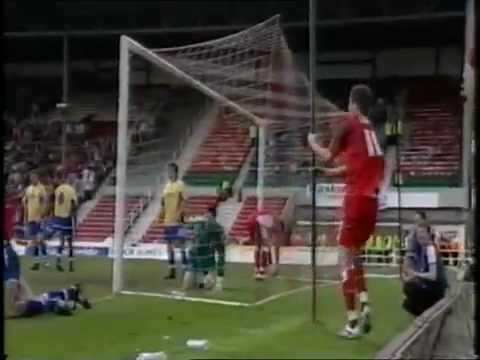 Just past the half hour mark, the Stags took the lead, Leigh Barnard equalising for Swindon just before half-time - a goal that wrapped up the title - and those travelling fans later celebrated the Town's first ever league title. 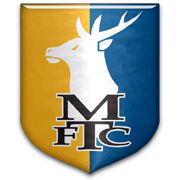 Over the years, Town goalscorers have had a fruitful time against Mansfield defences - starting with Harry Morris scoring a hat-trick in just the second match against the Stags in 1932, Maurice Owen scored four in a 6-1 win in 1947, and Steve White bagged three in 1987. The best feat though was by Keith East, who became only the second Town player to score five in a league match - doing so in a 6-2 victory in 1965. 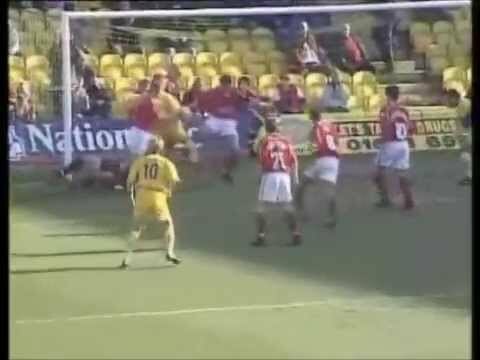 The Town took the total to eleven in the return match, beating the Stags 5-1 in the away game later that season. 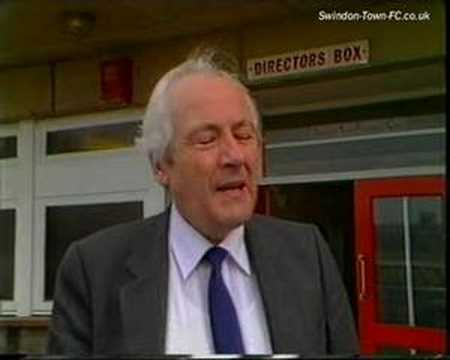 As STFC struggle at the bottom of the league, HTV report that low attendances threaten to put the club out of business. Both sides hit the woodwork, before Peter Coyne nicks a late winner to take the points against Mansfield. 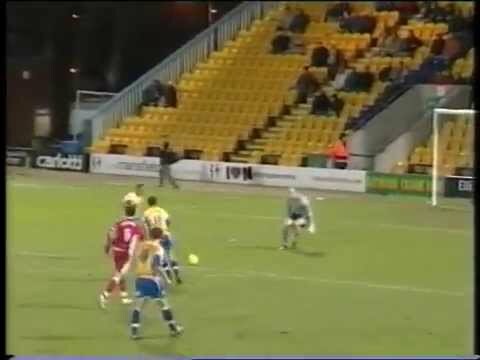 HTV report as the Town clinch the Fourth Division championship at Mansfield - unfortunately, a TV ban (!) means that no footage of the game is shown. 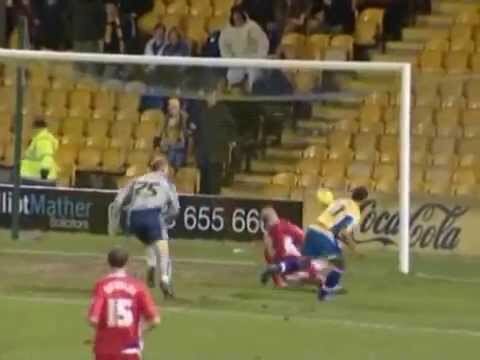 The crowd are still calling for Andy King's head - but after the thumping of Southend in midweek in the LDV Trophy, goals from Sam Parkin and Eric Sabin give the Town a crucial league win after Liam Lawrence gives Mansfield an early lead. All of the goals come in the first half, as the Stags record victory over the Robins. Paul Sturrock experiences his first defeat as Town boss - a 2-0 reverse at Mansfield. 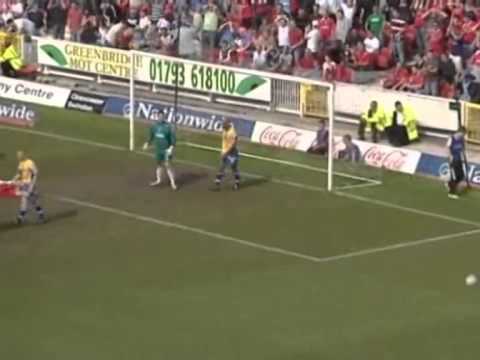 There is a superb atmosphere inside the County Ground - the Stratton Bank filled with Town fans in the hope that they can seal promotion - but though Swindon do their bit with a 2-0 win, MK Dons' victory means that the celebrations are put on hold. 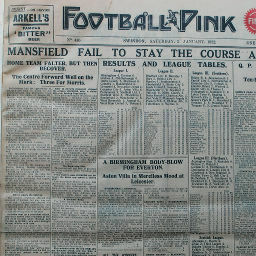 Click to view a newspaper report of Swindon's 2-3 defeat at Mansfield Town in the 1931-1932 season. 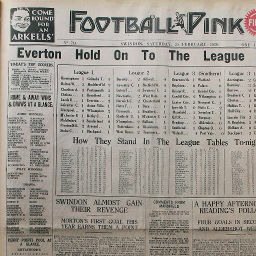 Click to view a newspaper report of Swindon's 5-2 win against Mansfield Town in the 1931-1932 season. 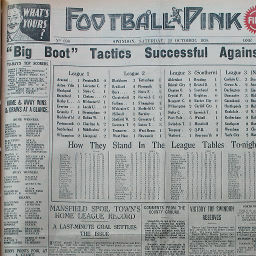 Click to view a newspaper report of Swindon's 0-2 defeat at Mansfield Town in the 1937-1938 season. 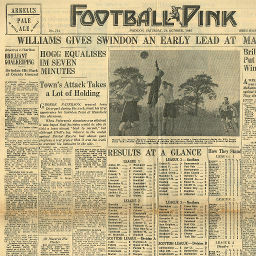 Click to view a newspaper report of Swindon's 3-3 draw against Mansfield Town in the 1937-1938 season. 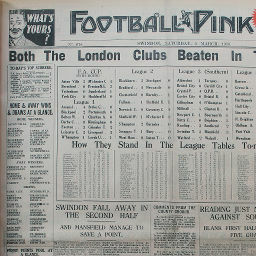 Click to view a newspaper report of Swindon's 1-2 defeat against Mansfield Town in the 1938-1939 season. 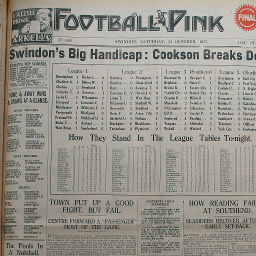 Click to view a newspaper report of Swindon's 1-1 draw at Mansfield Town in the 1938-1939 season. 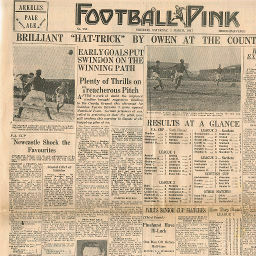 Click to view a newspaper report of Swindon's 1-1 draw at Mansfield Town in the 1946-1947 season. 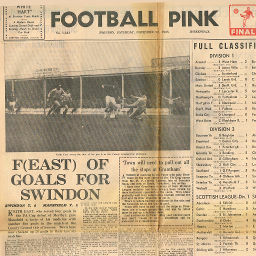 Click to view a newspaper report of Swindon's 6-1 win against Mansfield Town in the 1946-1947 season. 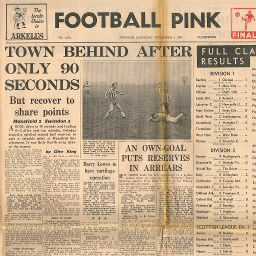 Click to view a newspaper report of Swindon's 6-2 win against Mansfield Town in the 1965-1966 season. 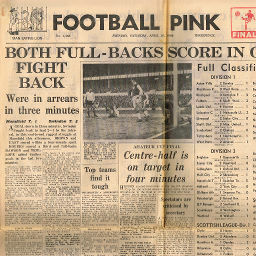 Click to view a newspaper report of Swindon's 5-1 win at Mansfield Town in the 1965-1966 season. 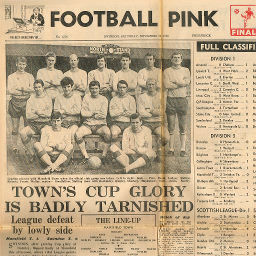 Click to view a newspaper report of Swindon's 2-2 draw at Mansfield Town in the 1967-1968 season. 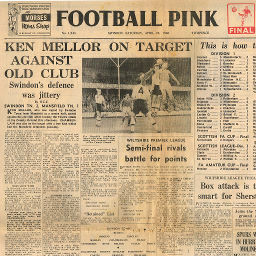 Click to view a newspaper report of Swindon's 1-1 draw against Mansfield Town in the 1967-1968 season. 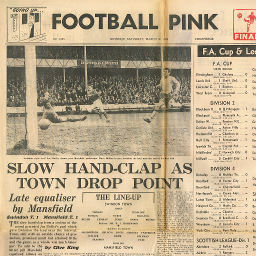 Click to view a newspaper report of Swindon's 0-2 defeat at Mansfield Town in the 1968-1969 season. 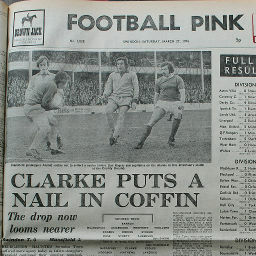 Click to view a newspaper report of Swindon's 1-3 defeat at Mansfield Town in the 1975-1976 season. 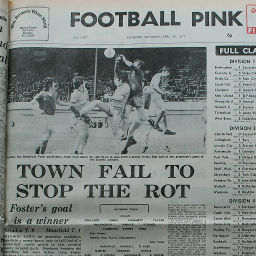 Click to view a newspaper report of Swindon's 0-2 defeat against Mansfield Town in the 1975-1976 season. 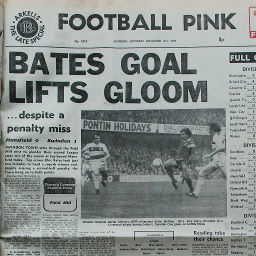 Click to view a newspaper report of Swindon's 1-1 draw at Mansfield Town in the 1976-1977 season. 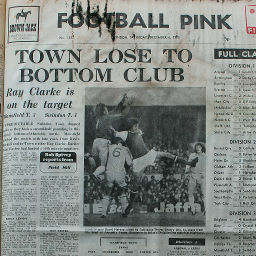 Click to view a newspaper report of Swindon's 0-1 defeat against Mansfield Town in the 1976-1977 season. 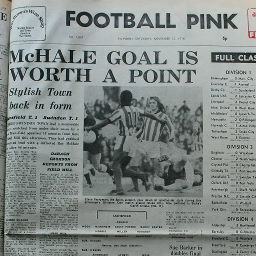 Click to view a newspaper report of Swindon's 1-0 win against Mansfield Town in the 1978-1979 season. 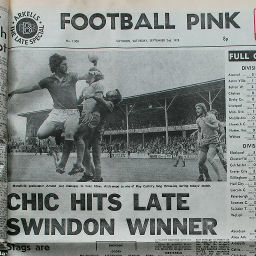 Click to view a newspaper report of Swindon's 1-0 win at Mansfield Town in the 1978-1979 season.